Concord student, Olivia has spoken of her delight at winning the Who Wants To Be A Mathematician Championship. She said: “Well, I didn’t expect to win the UK final as the other contestants were also very strong and the scores were very close.” Olivia from 6.2 went on to say: “With regards to the difficulty of the questions, they were actually not very hard to solve, but finishing each in one minute was a big task. “Moreover, the buzz round was extremely difficult for me since I normally tend to answer questions when I am ninety percent sure. Also, I will try to learn more about the history of Mathematics which may appear in the final.” She added: “I will just regard this competition as good experience, otherwise there would be too much pressure throughout.” Olivia was one of four contestants to qualify for the UK final of the competition in London hosted by stand-up mathematician Matt Parker. Simon Singh, chair of Good Thinking which sponsors the UK portion of Who Wants To Be A Mathematician, said: “With more than a thousand students from around the UK taking part, all the finalists should feel very proud of themselves. 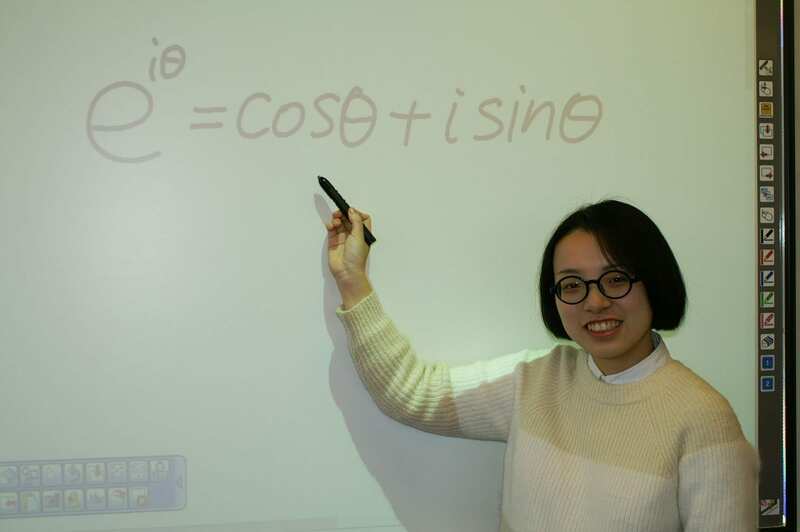 “We wish Olivia the very best of luck for the Grand Final in January.” Concord’s Head of Mathematics, Dr Tom Phoenix said: “The Mathematics Department are extremely proud of Olivia’s truly phenomenal success in the national final of Who Wants To Be A Mathematician. “I am delighted for Olivia. The competition was extremely demanding; it required superb subject knowledge and quick and accurate answers on a large range of topics. “We wish Olivia the greatest success at the international final in January.” Said Maths teacher Mrs Kelly Arthur, who accompanied Olivia to the UK final: “There were two rounds, each involving 10 questions, all multiple choice. In the first round each of the four finalists had a full minute to answer each question, when they had to hold up their answer. “Olivia stormed this round, there was never a time she wasn’t in the lead. In the second round, the contestants could buzz in early and deny their opponents points. It was very fast paced and Olivia had a much harder time during this round. “It was a nail biting finish, but luckily Olivia’s cool head prevailed, resulting in victory.” Eleven contestants from the US and Canada will join Olivia in Baltimore for the championship on January 19th, which will also be livestreamed.